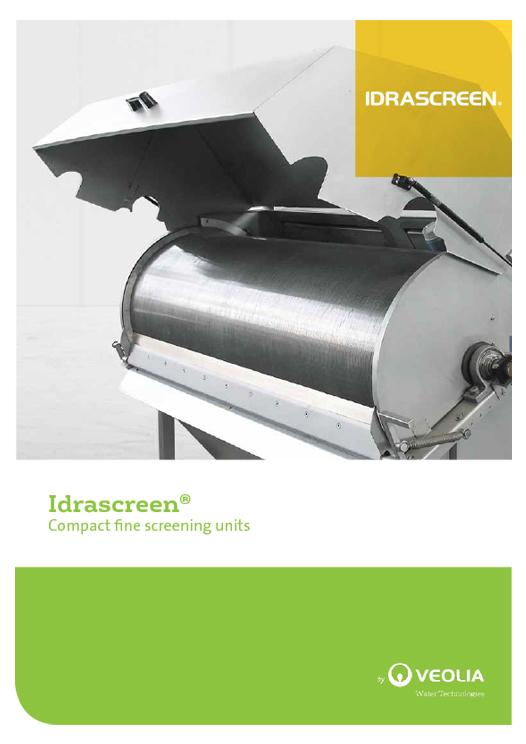 IDRASCREEN® represents the range of high capacity self-cleaning screen filters for wastewater pre-treatment and solids separation. Separating solids from process and drainage water has always been a serious problem in many industrial sectors. IDRASCREEN® from 1973 has been introduced in a lot of applications, proving to be the real self-cleaning screen, capable of working for long periods with no assistance and little or no maintenance. 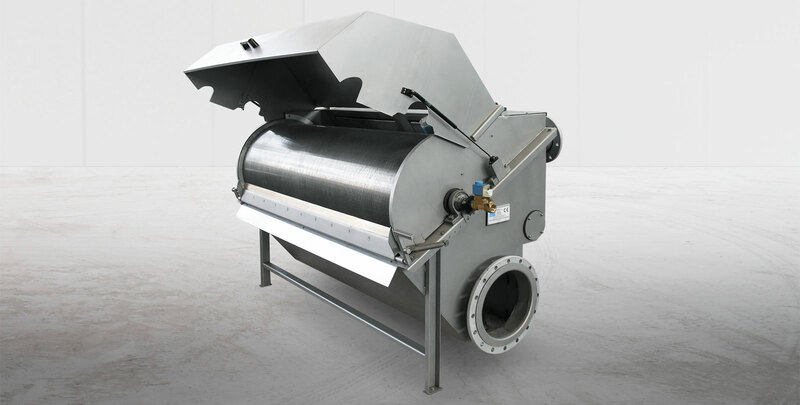 Thanks to its special design, IDRASCREEN® allows to perfectly treat the inlet water to be screened, leaving the solids on the external surface of the cylindrical screen where the doctor blade removes them efficiently. The screened effluent passes again through the cylinder and carries on an efficacious backwashing of the screen openings. Thanks to this process, the portion of the cylinder-screen is always perfectly clean, avoiding problems of any mucilage formations inside the cylindrical screen. 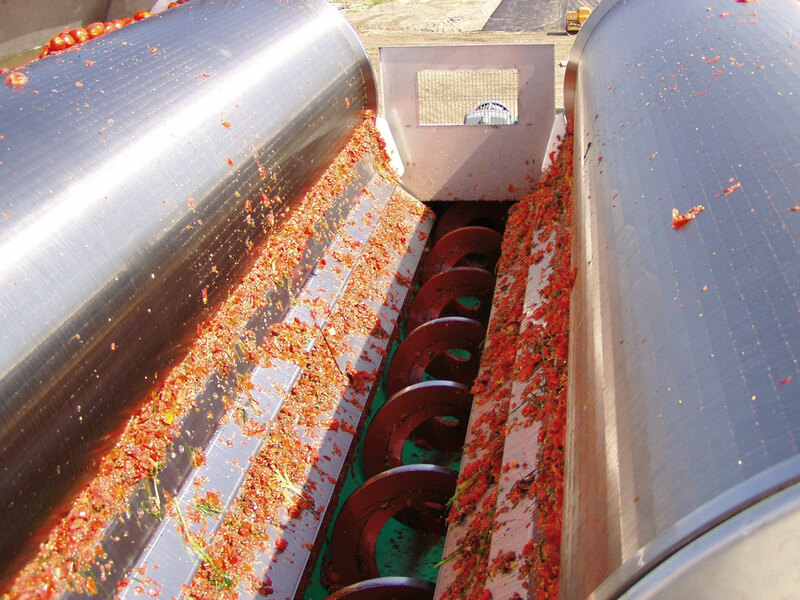 IDRASCREEN® is also properly equipped with an inner washing system with low/medium pressure for a periodical cleaning which allows to avoid clogging phenomena and to reduce the cleaning maintenance and its relevant costs. The Sliding Blade System is the special equipment that solves those difficult cases where a high amount of fibre is present in the effluent. These fine particles can become wedged under the doctor blade. The continuous and alternative movement of the blade prevents the wedging of the material under its edge. The blade, going up, runs to meet the accumulated screened material, during its descent, it leaves the build up on the cylinder and, crawling on it, it cleans itself.